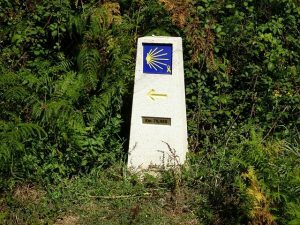 Why do international pilgrims decide to walk the Camino? 1 Why do international pilgrims decide to walk the Camino? 1.0.1 -Brooke, when did you decide to walk the Camino? 1.0.2 -Which Camino de Santiago route did you choose? 1.0.3 -For how many days did you walk the Camino? 1.0.4 -Did you walk alone, with friend, or a part of a group? 1.0.5 -What were your motivations to walk the Camino? 1.0.6 -Did you train before the walk? 1.0.7 -Any memorable anecdote on the way? 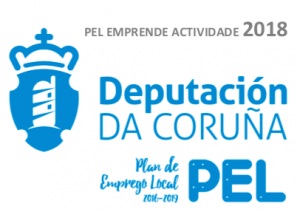 1.0.8 -Best and worst part of the Camino de Santiago experience? 1.0.9 -Any recommendations you would make to anyone planning to walk the Camino? Today we are coming back with our “Camino Tales” section (#Caminotales). All the stories about international pilgrims who take on this incredible adventure: walking the Camino de Santiago. What are their motivations? 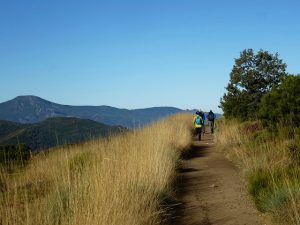 Which Camino de Santiago routes do they choose? Do they ever come back? n got a tattoo done, as a souvenir of the experience! Let’s learn a bit more about both journeys. -Brooke, when did you decide to walk the Camino? -Which Camino de Santiago route did you choose? few factors. First, we wanted to visit Vitoria-Gasteiz. This is a city that my husband had visited before and really wanted to return to. We flew into Biarritz with our bikes and just cycled straight out of the airport. We traveled along the coastal route for about a day and then went south along the tunnel route to stop in Vitoria. Eventually we met up with the French Way in Santo Domingo and finished our camino from there. In 2015, we flew in to Leon and walked the French Way. -For how many days did you walk the Camino? -Did you walk alone, with friend, or a part of a group? In 2011 I was inspired by my favorite author Paulo Coelho. I would not describe our motivations as spiritual as we are both atheist however, the idea of walking everyday with just your bag and your thoughts offers a unique experience to let go of every day distractions. It also allows yourself to just sit with your own thoughts, which can help clear your head and/or be a reminder of what is most important in life. For us, it was a reminder that ‘things’ aren’t a priority and ultimately don’t bring happiness but experiences do. That philosophy is emphasized everyday when you are forced to carry all that you need on your back. In 2015, it was a transition phase in our life. We were moving from the UK to the US and we thought we would take the opportunity to clear our heads in between moves. Plus it was one of the few times in our lives that we wouldn’t both be working. It was symbolic because we felt as if we were walking as far as we could in Western Europe to reach the US. In 2011 yes, for about 4 months. An in 2015 no, we had our 3 year old so we knew we weren’t going to be walking fast. Plus we didn’t have any time constraints so there was no need to walk any faster than our bodies would allow. For me, it was initially hard to relax. I was used to the fast pace corporate work environment so at first if was difficult to let go and just ‘go with the flow at the start. I’d tell my future self to just relax a little and be open to changes when they happen. -Best and worst part of the Camino de Santiago experience? The camino was full of ups and downs, so it would be hard to narrow it down to a few experiences. Everyday seemed to full of amazing and crazy experiences. In 2011, one of the best times was a rest day we spent in Vitoria. We spent the day eating tapas for breakfast, lunch, and dinner. And then went out at 11:00PM and had a 4 course dinner! At that point we were cycling 40+ miles a day so we had big appetites. Staying at the American run “Albergue” in Rabanal was a special treat as well. They were very kind to us as we had just been attacked by bedbugs at our previous stop. They helped us wash all of our clothes and our bag and gave us a private room for the night. They were very kind people. One of the worst times was falling off my bike. I was injured pretty badly (just cut and bloody), it was scary as I don’t speak much Spanish. Also, I had an allergic reaction to bedbugs and had to visit a clinic. The doctor was quite rude to me and told me that I shouldn’t have visited Spain without speaking Spanish. I had no idea what they were doing to me but they gave me a huge shot right in my backside! It definitely helped and it forced me to start making more of an effort to learn Spanish. In 2015, the best was for sure making it to Santiago. 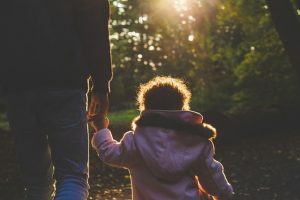 Walking with a 3-year-old comes with its own unique set of challenges. There were a few times I thought we wouldn’t even make it. When we arrived I was quite emotional. The worst part of 2015 was struggling with back problems. It was so bad that I had to get my pack shipped instead of carrying it. There was definitely a stigma around that as well. A few Albergues even refused to let us stay because I had my packed shipped. That was quite frustrating. Try not to over plan everything and just go with the flow. Treat your pack with insecticide and practice good etiquette when it comes to where you put your pack to try and stop the spread of bedbugs. Bring your bathing suite there are a lot of swimming pools and rivers to stop in! Thanks Brooke for sharing your story with us! 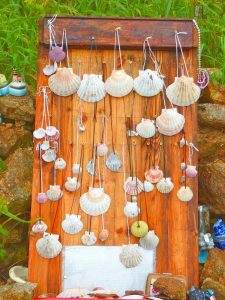 If you would like to read other Camino de Santiago tales, please do not hesitate check Krista’s Experience, or Makiri, a Japanese on the Way of Saint James. Any questions about walking the Camino de Santiago? Please do not hesitate to contact us!